For many of us who have been sitting around daily checking our email and spam folders for the “golden ticket,” an invitation to beta testing, good news…Invites went out! Yes, “glass half empty” folks, these were real Beta invites. Stephen Reid revealed two separate set of invites for this weekend. This afternoon we sent out two more batches of invites. Half were general Game Testing invites, half were additional invites to this weekend’s Beta Testing Weekend #2. These invites went out to USA, Canada and European countries (all of our launch countries). Adding more invites is pretty standard practice for us; it helps brings up our numbers so we hit our targets during testing. Again, make sure you check your email, looking for an email from the exact email address of no-reply@bioware.swtor.com for your invite. Please note: the email will just inform you of your acceptance to testing and will link you to swtor.com. There are no other ‘requirements’ to test The Old Republic, so don’t be fooled by a phishing email. 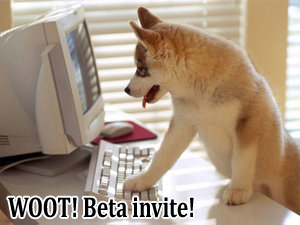 If you’re unsure if you’ve been invited, login to the site at www.swtor.com/tester to check – you’ll be able to download the client from there. We’re going to leave this thread locked as a purely informational resource. There was a little too much noise-to-signal ratio in the last thread. When we send invites, I’ll add a post to the thread and update the main OP above. This week we introduce a new section dedicated to our favorite Lead Combat Designer, Georg Zoeller. 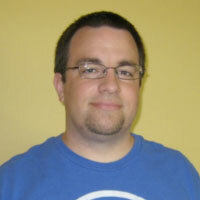 This week Georg talks about Global Cooldown in SWTOR. Georg also re-posts about player class roles, especially about early on, before Advance Class selection. I found this very informative and it did better explain Bioware’s thinking approach class roles in the Old Republic. GeorgZoeller General Discussion -> Bioware, why 1.5 seconds GlobalCooldown? anyone familiar with the term “GCD locked”? The GCD is set, so you can see all the “pretty” animations BW made for the game. Correct. We pride ourselves with a very polished and good looking combat system, and that means you get to see actual combat animations along with the floating numbers that indicate damage. If you’re going to do something for many many hours over the course of the game, and combat is likely the thing many players might do the most, it’d better be more interesting than a single whack animation and a floating number. For example, your attack animation might consist of shooting a stream of blaster bolts that do damage on impact rather than a single bolt or single sword swing. “Just to chime in about our class design philosophy here. We’ve explained this a number of times already during development, but now that we’ve been running large scale testing for a while and have solidified a lot of the design, I think it’s time to explain what we’re doing and why. In regards to class roles, we do things differently than some other games which people might be used to. That creates some anxiety and questions, so let me explain. Of Class, Advanced Class, Roles. Unlike other games where you pick a class and that defines your role, class in Star Wars: The Old Republic defines your overall story, your possible roles and your visual style / gameplay style (e.g. Force user vs. Tech user). Due to the nature of the Advanced Class system, every character starts out in a DPS role at the start of the game, and they’re about equally good at it. By the time you reach level 10, you get to make your choice for Advanced Class, which narrows down which roles you could play, and yes, some Advanced Classes (Gunslinger / Sniper / Marauder / Sentinel) only have damage type roles available, while other Advanced Classes have access to two roles (e.g damage or healing). What actually defines your role in our game, in terms of traditional MMO gaming, is how you distribute points in your skill trees. Specialize in the ‘Combat Medic’ tree and become a healer, specialize in the ‘Vengeance tree’ and become a DPS character. By spending that first skill point at level 10, you start developing your character into whatever role you want them to play in the long term. Since it’s your skill choices that define your role, it is a gradual process. You don’t become a healer at level 10 or 11, you’re growing into becoming a healer over many levels. Ultimately we don’t do hybrid roles. You can do them (by mixing different skill trees), but by design, all our classes are meant to be fully capable in the roles they fill. The ‘hybrid’ tax would be the fact that you won’t be able to get the top tier talents in one skill tree if you spread yourself too thin into others. At high level, all roles have the same capabilities, in our game all healers are ‘main healers’ provided they are specced accordingly, etc. So, what’s the point of playing an AC that has only DPS options available? That is a question you have to answer for yourself. If you really like the flexibility of non DPS roles and feel comfortable with taking on other roles, you might want to play an AC that has that option available. If you know you only enjoy DPS roles in a game (and based on our research, a sizable faction of players falls under that umbrella), a DPS only AC means you will get a three different styles of dps gameplay to select from. So why do we do this? Why not go for a ‘this Advanced Class only can DPS and therefore they are the best at it’ approach? Because we want people to pick the class they want to play and reduce the likelihood of them getting told ‘sorry, can’t participate in this group because we want only the best DPS in game – that is a Gunslinger’. Likewise, we don’t want the fact that a specific tank or healer AC is not available at a time from becoming a stopping point for getting on with your group content. The truth is, not everyone is comfortable playing every role and shouldn’t be expected to. Players, as they get more familiar with the game, will no doubt find interesting ways of proving the superiority of a specific specialization in a specific situation, that’s expected. With different gameplay styles and utility come different strength and weaknesses. Should things outside our comfort zone be discovered in testing or after launch (e.g. Operations ending up requiring that one specific healer AC because they are deemed ‘the absolute best and a must’), we will adjust the game accordingly. We want player skill to be deciding factor in your choices, not which class they picked hundreds of hours ago. That’s pretty standard for MMOs. A: If that is your main concern, you shouldn’t play that Advanced Class, because you are going to be unhappy about the fact that you cannot switch roles. Q: Since I can only fill a DPS role, I should do the absolute best damage in the game! A: Not in SWTOR. We give you get more variety in your DPS gameplay. We maintain balance between all ACs that can fill a role. Q: What ever happened to being 5% better thing for pure DPS classes? A: Given class utility and other considerations of why you might want to have someone in your group, 5% is not considered ‘significant’ for the purpose of this conversation. This was a lot of information here and I strongly urge you to check out the link and go through the thread also. This seems a different approach to roles, but different isn’t always bad. I hope by putting this here you all, that is to help clarify areas some of you have not had time to read. Haven’t had time to get caught up with everything going on the past week, work been hectic, enjoying some Fall foliage or just let time slip away and missed all of the great stories here at Corellian Run Radio…fear not we have them all a click away. This week I am highlighting a couple writers who are fans of the Old Republic time period and Star Wars, but not our normal community writers…this week we look at some information given to the community from Drew Karpyshyn and Alexander Freed. First off we get a little information concerning what may or not be revealed about the Exile , from KOTOR 2. Wow. A lot of people jumping to (somewhat misinformed) conclusions without actually reading the book. I guess I shouldn’t be shocked – it happened with the first and third Bane novels, too. Must be human nature. I was very careful not to put anything in my novel that would directly contradict any of the offered theories, partly to preserve KOTOR2’s original intent, and partly because those elements were central to the KOTOR2 story, but not to the story of the Revan novel. I also believe the Exile comes across as a very strong and capable character, and I would caution people about taking small excerpts out of context, because they don’t tell the whole story. Next Alexander Freed addresses some concerns about the new Galaxy Map and the planets Korriban and Dromund Kaas. The planet locations on the galaxy map were taken directly from Star Wars: The Essential Atlas (and were, of course, closely vetted by the folks at LucasArts). We may have established coordinates for a handful of new systems (I’d need to check my records), but only a very few–the Atlas is extremely thorough. First, there are HUGE distances even between neighboring star systems; while it’s one thing to have a clearly mapped route and a powerful hyperdrive, creeping through uncharted territory at relatively slow speeds without “flying right through a star or bouncing too close to a supernova” is another thing entirely. In other words, if you’re desperately wandering into territory off your charted portion of the galactic plane… you can spend quite a while before you find a new home. This week’s HoloNet is full of a lot of information and maybe a bit short on entertainment, but here is a Old Republic music video by VIPER007. Fitting as we wrap up this week’s HoloNet Links the song would by Linkin Park, In the End. Enjoy and please send me your favorite Star Wars music videos. That’s all this week from the HoloNet Links at Corellian Run Radio. If you have an interesting, funny, or thought provoking Star Wars Old Republic link, please let me know via email at jason@corellianrun.com, join the CRR forums, or in the Facebook group. See you next week!